​A 1999 graduate of Bellevue High School, Kristy Baptista earned seven varsity letters in three different sports for the Lady Red. Kristy earned one letter in basketball, three in volleyball, and three more in softball. Her senior year in basketball, Kristy earned the Intensity Award after finishing second in offensive rebounds, third in defensive rebounds, fourth in steals and fifth in points. In volleyball, she led the team in solo blocks and was second in blocking as a sophomore, led the team in kill percentage and attacks as a junior, was second in solo blocks, 10th in the league in kill percentage and 11th in the league in solo blocks. As a senior, she led the team in ace percentage and digs, was second in solo blocks, finished third in the league in ace percentage, sixth in serve reception, and 10th in digs. The sport of softball is where Kristy made her mark and left her name in the record books at BHS. As a sophomore she batted .257 with 9 hits helping the Lady Red to a 10-4 NOL (2nd place) finish and a 20-4 overall record. The team finished ranked 6th in the SB State Coaches Poll. 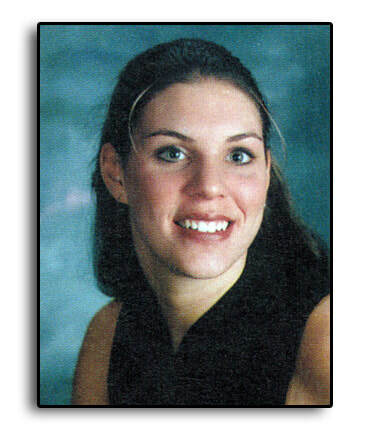 As a junior in 1998, Kristy emerged as a team leader and force in the NOL and area. She helped lead her team to a 17-7 record while leading the team with a .484 average. She was second on the team in hits and walks and third in RBI, extra base hits, sacrifices and stolen bases. She also led the team in on-base percentage and batting average. She has also earned first team All-NOL, first team All-District, and first team All-State honors during her breakout season. During her senior campaign, Baptista nearly duplicated the feat, going first team All-NOL and District, while being voted second team All-Ohio. She was also team captain, while leading the Lady Red in hits (31), RBI’s (20), stolen bases (21), and batting average (.431). She was second on the team in runs scored and walks and helped lift her team to a 10-4 NOL (2nd place) finish, and a Sectional Championship. Kristy currently resides in Hilliard, OH and works at Nationwide Children’s Hospital as a cardiac catheter lab technician in the Heart Center. Dennis Sabo introduces 1999 graduate Kristy Baptista.